Dassault Systèmes SolidWorks’ new Distributed Data Management process solution is now a reality with the upcoming release of Service Pack 1 that is scheduled for early December. Distributed data management enables both internal and external users to access and edit the most up-to-date files, including Bills of Materials (BOMs), project timelines, and processes, from anywhere and on any device with a browser and internet connection. With the introduction of SOLIDWORKS 2018, distributed data management is now an integrated part of the extended SOLIDWORKS ecosystem. SOLIDWORKS Manage combines the ease of use and familiar Windows® Explorer interface of SOLIDWORKS PDM with advanced capabilities that allow teams to manage project timelines and resources, complex business processes, and advanced item management. 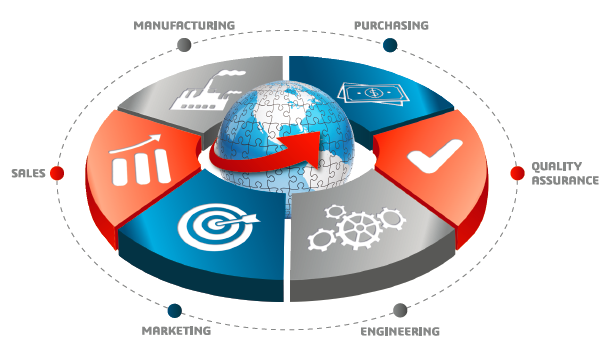 One of the most beneficial capabilities of SOLIDWORKS Manage is its Dashboard and Reporting capabilities. 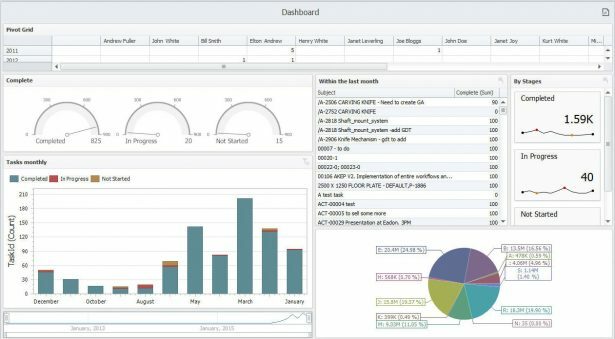 Dashboards provide instant access to critical business metrics in a very pleasing and easy-to0understand interface. Utilizing a wide variety of data visualization tools including charts, gauges, and grids, data from SOLIDWORKS Manage (or other data sources) can be presented in the most meaningful way to users. Different dashboards can be created for different users and groups so that each person gets only the information they need. 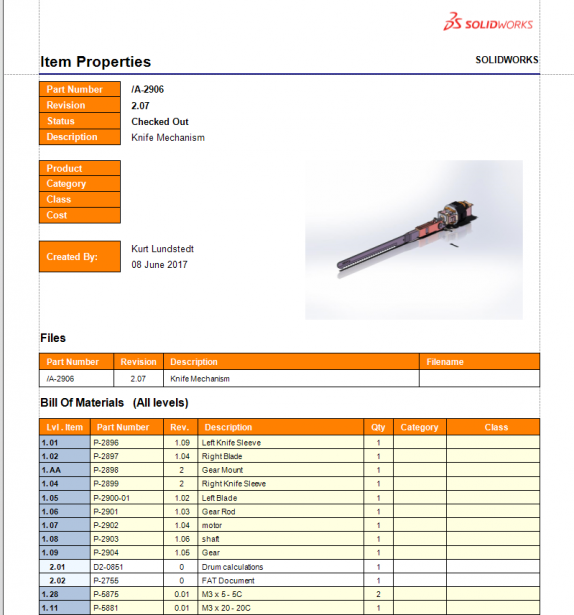 The reporting tool in SOLIDWORKS Manage is great for taking snapshots of data and producing output documents that can be used for anything from RFQs to project tracking to Bills of Material. Reports can be formatted to meet customer requirements and can be saved back into the system and/or emailed out as an attachment. Like Dashboards, the reporting capabilities allow for connection to various data sources so users only need to go to one place to get the data they require. For more information and SOLIDWORKS Manage and the other great products in the Distributed Data Management process solutions please add click here.